All of these require sharing of personal information – email IDs, passwords, age, gender, city, personal interests, IP address, personal information shared in emails & chat sessions, etc. While the internet users in India understand privacy issues at a high level, especially with the recent disclosures on NSA’s global data snooping, many users are still unaware of how their data is captured and not confident that these will remain strictly private. It is imperative that we understand the practical issues involved in educating users about data privacy, while looking to enforce stricter privacy controls via legal means. 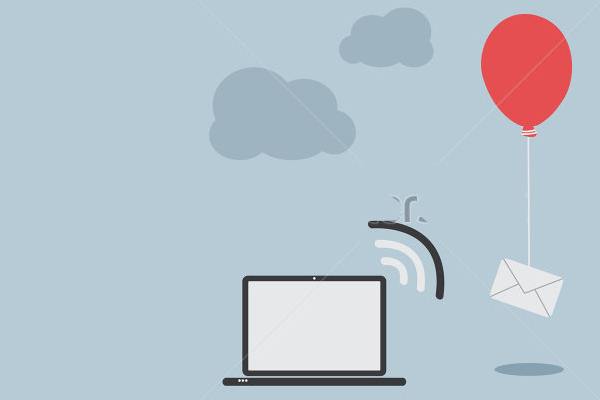 1.A recent study (conducted August 2013) by EMC Privacy Index revealed that Indians ranked first among 15 countries for their willingness to trade privacy for online convenience. These are indexed numbers – higher the value greater is the willingness to trade privacy for convenience. 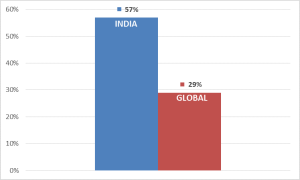 2.The survey also indicated that 57 % of Indian consumers are willing to trade their privacy for convenience – significantly above the global average of 29%. 3.The netizens of India felt privacy is an area of huge concern for them today and expect to be so over the next five years. 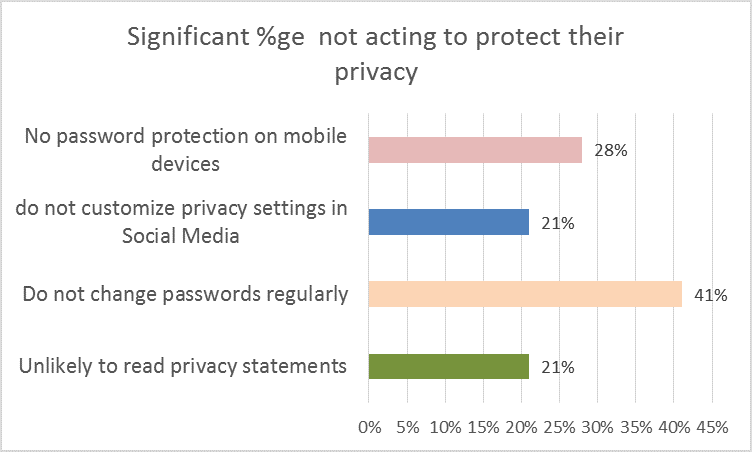 4.While there is willingness to share private information for convenience and an ongoing concern about protection of privacy, a significant %ge are not acting even at a personal level. 5.At the same time there is no overwhelming confidence among the online users that the government or the online businesses they transact with will genuinely protect their private information. Also compare this with global perceptions and the Indians seem over optimistic. – Indian online users expect the government to legislate laws protecting their online personal data. They also expect online merchants / organizations to manage the personal data collected, under strict privacy considerations. 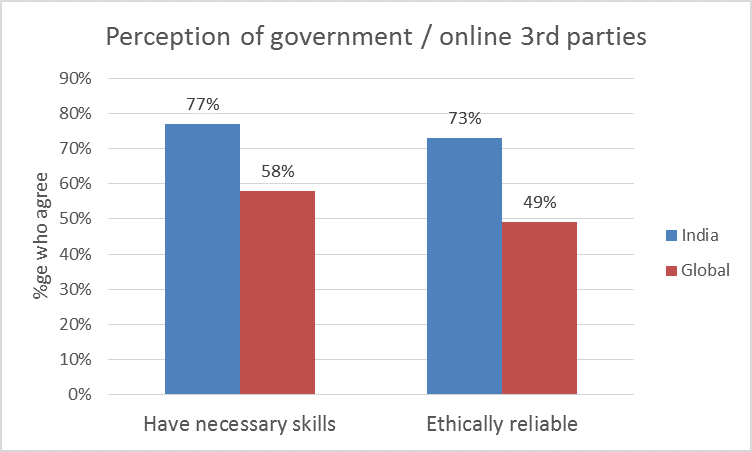 – However they do not have overwhelming confidence in the capabilities of the government / online organizations – on both skills & ethics fronts. 8.India’s internet base is growing and is expected to touch 500 Million internet data subscribers in the next four years. In the above context, it is easy to notice a huge & widening gap in online privacy protection of personal data. 9. Today no specific legislation exists in India (in contrast to the EU or Brazil) clearly mandating online privacy policies. It is essential to address the following, to accelerate ecommerce growth in the country. 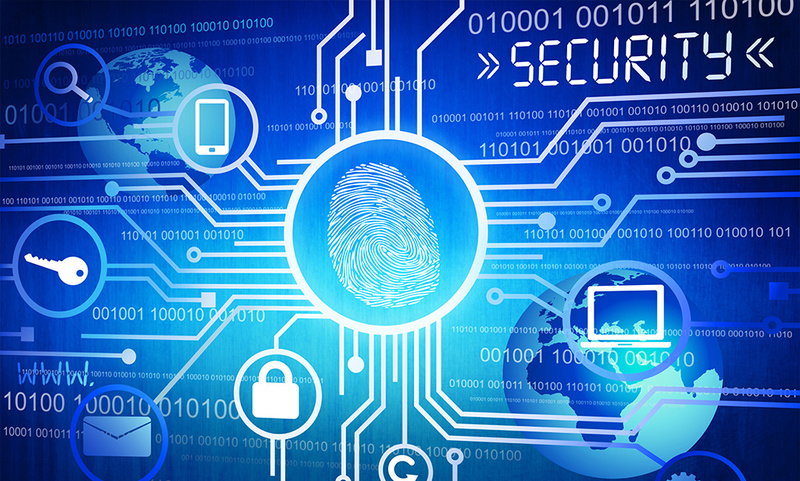 While the Information Technology Act (Reasonable Security Practices and Procedures and Sensitive Personal Data or Information) Rules – 2011 provides a basis for the above, it is still insufficient. This entry was posted in Data Privacy and tagged internet privacy, ITA 2011, Online Privacy, Personal data Protection in India.